My Home → Endpoints → Who’s BIG in Endpoints 2019? 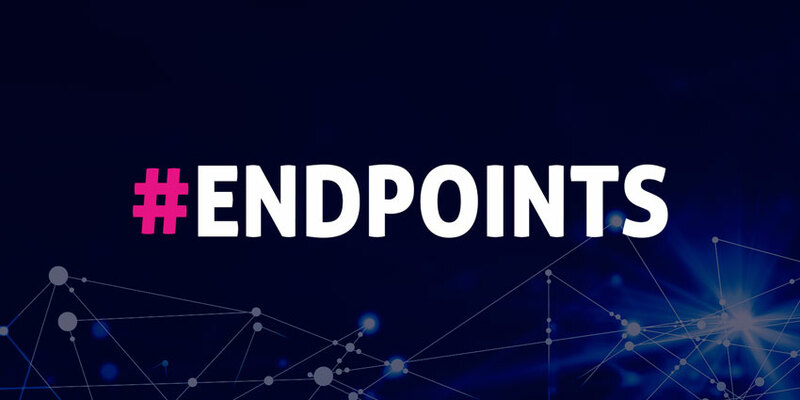 Who’s BIG in Endpoints 2019? Endpoints are a crucial component of your communication strategy. They’re how you bring life to your IP solution, by giving you a phone through which you can make voice calls or a multi-media device that you can access to unlock video and instant messaging. Over the years, the nature of IP endpoints has changed drastically suit a transforming business environment, where mobility, data, and agility are crucial for success. In this changing environment, it’s the vendors that know how to appeal to a forward-thinking business that are storming ahead of the crowd. Let’s take a look at some of the biggest brands in the endpoint sector today. Alcatel-Lucent Enterprise , a company dedicated to delivering next-level technology to its customers, serves more than 830,000 clients around the world. ALE has stood out in the endpoint market this year by looking at digital transformation from the perspective of “digital engagement.” ALE believes that companies need to embrace the latest technology to meet the expanding demands of an increasingly complex audience. AudioCodes is another well-known and well-respected endpoint vendor for 2018. This brand has years of experience creating voice networking and media processing solutions for the digital workforce. The vendor recently revealed that their highly successful 400HD series of IP phones has been chosen by TetraVX for their digital transformation strategy. Avaya is both a leading vendor and a Cinderella story in 2018. From concerns surrounding Chapter 11 bankruptcy in 2017 to incredible success in 2018, Avaya has come a long way this year. Avaya is launching its very own desktop phone revival with new and improved multi-media solutions like the Avaya Vantage phone. Cisco is an American technology company with a reputation across the globe. Perhaps one of the best-known vendors of telecommunications hardware on the market, Cisco earns the title of the “largest networking company in the world.” Alongside collaborative tools like the Cisco Webex platform, the brand also offers a wide range of IP endpoints to suit almost any business. The 7800 Series IP phones for fully-featured Voice in Huddle, conference, or desktop spaces. The 6900 Series IP phones for simple and cost-effective communication. Cisco also sells a range of headsets, telepresence peripherals like the TelePresence touch, and collaboration room endpoints like the Cisco WebEx Board. Plantronics is another must-mention innovator in the communication Endpoint environment this year. Recently, the company purchased Polycom – a leading business in unified communication – for $2 billion. After the successful conclusion of the sale, Plantronics effectively tapped into the background knowledge and expertise of Polycom to supplement their already considerable ability to delight endpoint customers. Just because Polycom became a part of Plantronics this year, doesn’t mean that the vendor isn’t continuing to create its own innovative solutions for communication and collaboration. This year, Polycom announced the release of their updated “VVX Series Business IP phones.” This portfolio combines affordability with enterprise-level features to help smaller companies compete with larger brands. Leading ITSPs including 8×8 have already certified the VVX x50 line. Polycom also offers VoIP desk phones, conferencing phones like the Polycom Trio, and a range of devices approved to work with Microsoft products, like Microsoft Teams. Polycom even offers endpoint Room solutions, such as the RealPresence Group Series. Snom was one of the first phone manufacturers in the world capable of delivering IP-enabled devices to companies. As a true innovator for the times, Snom is an obvious choice for our list of leading endpoint vendors for 2018. This year, the company introduced a 10+2 flagship IP phone offer for customers who want to upgrade their communication infrastructure. Last, but not least, Yealink is a leading provider of collaboration and communication solutions for 2018. Recently, the brand celebrated a double success following their win of the 2018 Global Growth Excellence Leadership Award, given by Frost & Sullivan. Yealink has also seen phenomenal growth in the endpoint market, growing it’s IP desktop unit shipments by 24.7% over the last 3 years, and 50.4% in the previous year.